Mothers are your ultimate secret keepers and the perfect support in life. No matter how old you get she is someone who will always feed you like a baby. Is distance stopping you from expressing the respect and love you have for her? We, Ferns N Petals have ample options to celebrate your relation with your loving and inspiring mother. Send Mother’s Day gifts from our amazing collection. Give love and affection to your mother or Ammi on this Mother's Day with our extraordinary range of Mother's Day gifts. We can further help you order amazing gifts such as beautiful mother's day bouquet, chocolates, gift hampers, handbags, soft toys, cakes, perfumes and other interesting gifts for mother with our online gifting store. Ammi gave birth to you and life would have been difficult without her. To pay a tribute to moms, on 21st March 2019, the Mother’s Day, we have come up with some amazing products. 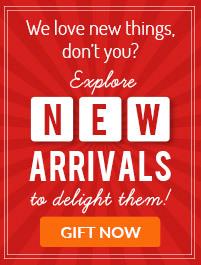 So, when you are searching for a pretty gift to woo her, do have a look at our e-gift store. Some cool mothers day gifts ranging from floral pieces to cupcakes, photo frames to cushions are available here to make your search a refined one. Flowers have the language of love and when words fail to portray what you actually feel for someone, flowers or zahra become the carrier of that feeling. Rose, carnation, daisy, chrysanthemum, lily, tulip, bird of paradise, hydrangea, orchids, etc. 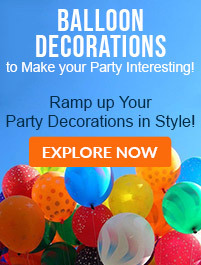 are arranged in bouquets, vase arrangement, or basket arrangement only for your special day. Impress your mom on her day with our amazing stock of gifts. Not only flowers, you would find some more mother’s day gift ideas here. For example, the personalized photo frame of the assortment of cupcakes of various colors and flavors stand to be best among the offerings. As it is her day to celebrate on 21st March as well as on 12th May 2019, International Mother’s Day you must get only the best things for her. We are always ready with our special gifts and services to make your day a worthy one. Celebrating Mother’s Day when you are away from her is also possible and that too with panache and aplomb. Only when you come to an online gift store like ours, you would get that decent combination of class and quality. Our gifts like the message in a bottle or the floral strands in a decorative cart or carriage are really mesmerizing. Get your mothers day gifts to Abu Dhabi in case your mom lives there and you have to be out of town for some work. A simple baqt 'azhar (bouquet) of red carnations along with a triple chocolate cake would also be astounding to celebrate the day. Mothers are always special because they give birth to a life that takes the alealamia (world) forward. We are not only limited to Abu Dhabi but we can also get your best mother’s day gifts to Dubai, Sharjah, Ras Al Khaimah or Al Ain, etc. All you have to do is log in to our website and select the desired products and would reach your destination in time. Same day delivery or midnight delivery services are also available here to help you more in witnessing a great shopping experience. Mother’s Day is on 21st March and before the arrival of this special day, you must be prepared with the awesome range of mother’s day gifts. To help you in this regard, we have come up with a list of fabulous, classy, and elegant gift ideas that would definitely make your mom happy. Take a look below and start placing your orders for mother’s day gifts anywhere in the UAE like Dubai, Sharjah, Fujairah, Al Ain, etc. Flowers are classic and elegant gifts of love. Check various Mothers Day flowers like roses, lilies, carnations, chrysanthemums, orchids, bird of paradise, tulips, etc. here and place an order accordingly. We have alluring bunches, bouquets, and vase/box/basket arrangements of flowers that would reflect the right kind of love, appreciation, and respect you have in your heart for your mom. Cakes add much excitement to any festival or occasion. Thus, for this upcoming Mother’s Day also, we have come up with delectable and luxurious Mothers Day cakes. You will find fondant cakes, semi-fondant cakes, cream cakes, cheesecakes, cupcakes, tier cakes, photo cakes, heart-shaped cakes, and designer cakes here. Dry fruits like cashew nuts, raisins, almonds, walnuts, dates, and pistachios are loaded with valuable fiber, micronutrients, and antioxidants. They are thus beneficial for the physical, mental, and emotional health of a person. Take care of your mom and present her the luxurious dry fruits hamper. There is no other gift option that is as noble as plants. From enhancing the oxygen in the air to promoting better sleep – there are multiple uses of plants. 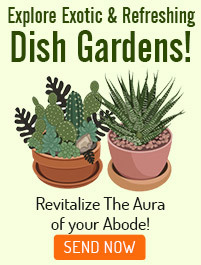 Get the refreshing mothers day plants like the peace lily, desert rose, syngonium, lucky bamboo, money plant, terrariums, ficus microcarpa, snake plant, etc. Personalized gifts are the most enchanting of all gifts because of the inclusion of picture and message. 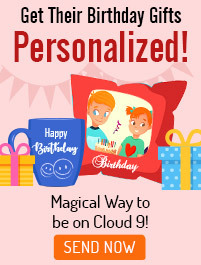 You can get impressive personalized cushions, mugs, photo frames, and lamps for your mom and surprise her. Add some chocolates and send personalised gifts for mothers day to your mom anywhere in the UAE like Al Ain, Fujairah, Ras Al Khaimah, Sharjah, etc. From the mesmerizing Baklava to the delicious Rasgulla, Gulab Jamun, Kaju Katli, Motichoor Ke Laddoo, etc. you will get many options here to greet your mom. If your mom has a sweet tooth, then she would love these amazing boxes or combos of sweets. Chocolates belonging to various brands like Cadbury, Ferrero Rocher, Hershey’s, Toblerone, etc. are here to offer you the best chocolatey experience. Send the amazing box arrangements of chocolates to your loving and caring mom to celebrate Mother’s Day! Flowers & Cakes, Flowers & Chocolates, Chocolates & Teddy Bears, Plants & Cakes, Plants & Personalized gifts, Flowers & personalized gifts – the list of our combo gifts for mother’s day is endless. Select the best combos for your mom & maximize the fun. You will get various things like roasted nuts, dry fruits, chocolates of various brands, exotic handmade chocolates, cute teddy bears, cheese crackers, mug, etc. in a hamper. Get stunning mother’s day gift hampers and celebrate 21st March with fun & fervor. Mother’s love and support are incomparable that stay with you at every step of life. She knows you well inside out and goes out of her way to offer you the comforts of life. Your mother is your angel who knows how to lift up your spirits and make you smile. You shouldn’t leave a single chance to express gratitude towards your darling mom and show how blessed you feel to have her in life. Surprise your mom on Mother’s Day 2019 with unique and thoughtful gifts to thank her for giving you such a beautiful life and making it wonderful with her divine presence. Ranging from delicious cakes, mesmerizing flower arrangements and personalised cushions to fruit baskets, we have plenty of exciting Mother’s Day gifts in UAE through which you can brighten up the day of your mom and make her feel special. The gifts will help you win her heart forever and show how much she means to you. Ferns N Petals is here with a plethora of Mother’s Day gift ideas to help you thank your mother for all the sacrifices and hardships she faced to make you who you are today. Are you worried that you won’t be able to spend this special day with your mom because of your work commitments? Don’t worry at all. You can still make it magical for her with the delivery of our fabulous and high-quality gifts. Choose an amazing present from our wide collection of assorted cupcakes, special Mother’s Day cakes, cookies, and exotic chocolates to send your mom in UAE as a token of love via our same day and next day delivery service. It will make your mom feel closer to you even when you are miles away from her. You can also send her a greeting card along with the gift to express love through words to touch her heart in the most amazing manner. 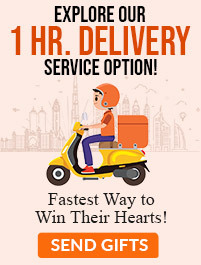 With our timely delivery service, we will make sure to deliver gifts to the doorstep of your mom on time and spread happiness in her life. A mother is the source of life who leaves no stones unturned to make the life of her child a happy and beautiful one. She derives her happiness from the smile of her children. Mother’s Day on 21st March is the day that is dedicated to the pure love and care of all the mothers in the world. Keeping in mind the spirit and confidence of moms, we have gathered some awesome mother’s day quotes that you can send to your mom and make her feel special. These quotes talk about the selfless love of mothers. So you must not forget to include these lovely mother’s day quotes with your special gifts! • The most commonly gifted items on Mother’s Day include flowers, jewelry, gift cards, clothing, dinner, lunch or treats such as a trip to a spa. 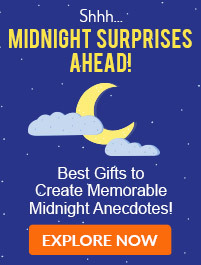 Other popular gifts are books, CD’s, housewares, and gardening tools. • Mother’s Day is observed in almost 50 countries in different parts of the world.